I'll detail a Saturday in this life. I'm Lauren. I am a 5th year undergraduate student finishing my studies at Ohio University in nutrition with a dietetics concentration. 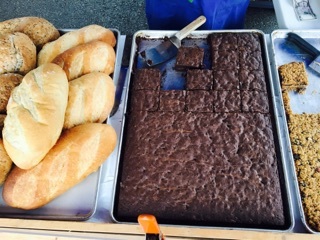 In addition to being a Shagbark fan and the Shagbark Farmers Market vendor lead, I'm a personal chef, nutrition program assistant, WellWorks volunteer, and casual blogger on my website, Think Outside the Toaster. I'm a Portland girl transplanted from the forests of Oregon as of 2 1/2 years ago. I found myself here in Ohio to connect with family, finish up my college career, and experience life in a new part of the country. I could never have guessed that the first food item I ate in Athens...Shagbark Original Tortilla Chips, would later play a huge role in my life. I now find myself in the position of sharing the story behind my first snack with others - some of whom are just getting introduced to the Athens scene themselves. I've come full circle and I'm happy to share a bit of the story in this journey so far. Working at Shagbark: What's the story of my day? I wake up. I drink several cups of iced coffee. Snack on fruit (usually local). Get ready. Listen to lo-fi hip hop or a podcast. Make sure I have my Shagbark hat and shirt on. I'm out the door. Pick up my coworker, Bolo. I like watching the sunrise on the drive over while I applaud all the early morning joggers on a Saturday morning well spent. Unlock the mill. Clock in. Fill out the market sheet with the number of products needed for the week based on the season, current purchasing trends, and numbers sold from previous weeks. Start counting out each type of product to take to the market, starting with non-refrigerated goods like the Spelt Pasta, Heirloom Popcorn, our range of dried beans and chips. My coworker packs up the refrigerated products, such as the milled cereals and flours, and applies the labels to all the weekly, fresh-made tortillas before packing them in the mobile cooler. 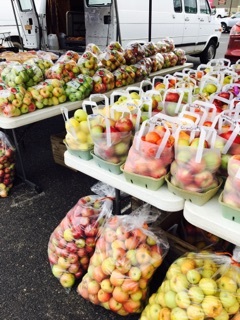 Pack up the tent, fold-up tables, chalkboard, sandbags, and market table decor supplies, as well as any bulk orders. Gather up the sample chip bags and mini chip bags to donate to vendors, kids and families. 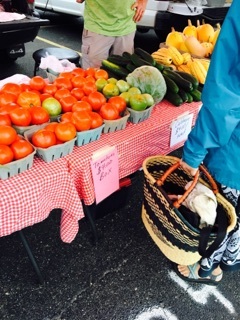 Get the market cashbox and check our mailboxes. Packing the car is a form of Tetris. Somehow, we get all the products and supplies to fit and then we're off to the market. 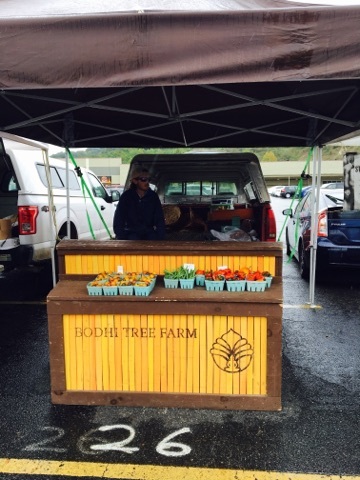 Park in our 27 vendor space and set up the market table and tent between our neighbors; Bodhi Tree Farm and Deep Roots. We all entertain one another during market. Market bell rings. My coworker and I start selling product to customers. My coworker has his iced coffee from Silver Ridge Coffee. 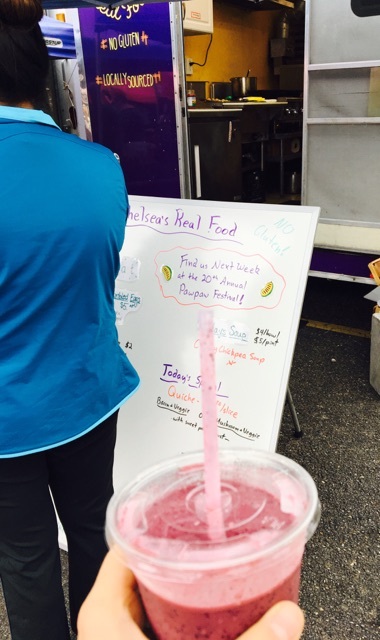 I have my ritualistic purple smoothie from Chelsea's Real Food. The smoothie is a mix of blueberries, orange juice, peaches, organic bananas, and almond butter. 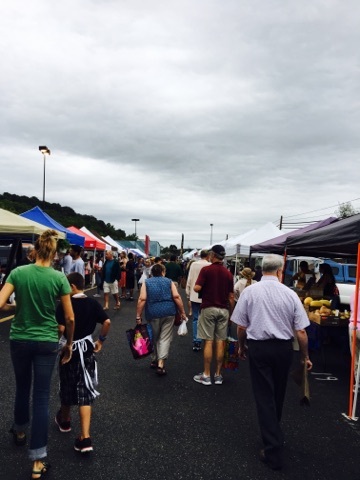 Usually take a quick break and get some produce or homemade items from the market. 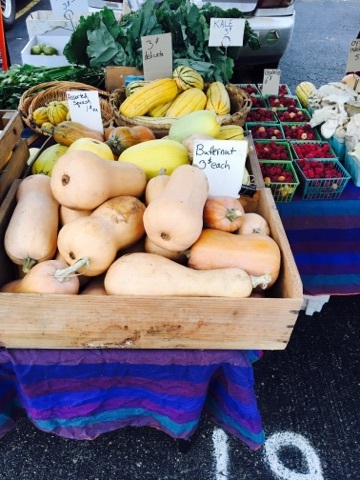 Currently seasonal items include late summer peaches, apples, squash (my favorite is butternut), green beans, and mushrooms. I grab a loaf of bread every week basically. I've been getting my bread from Molina Family Bakery mostly. I like the seeded whole grain loaf they do. I slice and store it in my freezer. Either way I'm always getting samples from Avalanche or Fisher Farms while their raspberry jam is around. 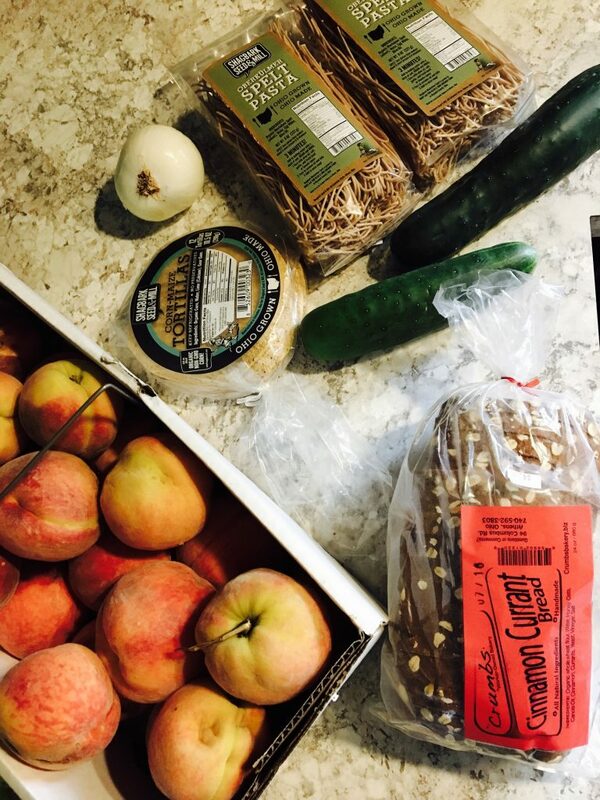 My go-to produce finds are apples, peaches, and plums. 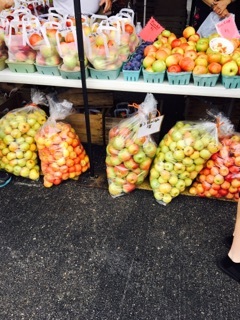 For apples and peaches, I always buy in bulk to maximize local produce on hand for the week, while saving money. 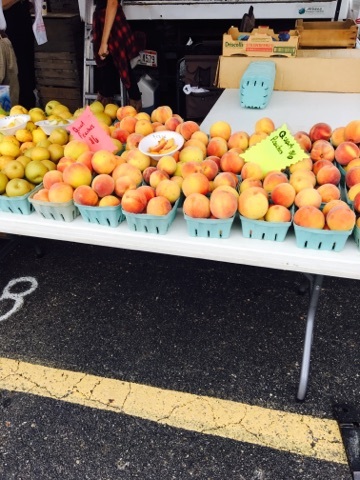 Turn in excess EBT coins and Market Bucks to the Farmers Market manager for future reimbursement. Share the Shagbark story and products. Offer samples. Handle purchases. Answer customer questions and inquiries. Chat with community members and visitors. Pack up the vendor stall. Count off the remaining product and record while my coworker and I pack up the car. People are usually still buying from us last minute, up until we close the trunk sometimes. 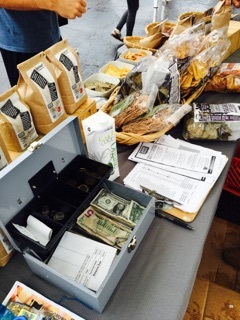 Take the time to verify bulk orders and trade leftover products like tortillas and chips with our vendor neighbors. 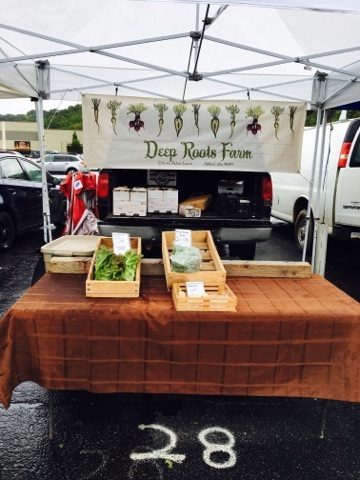 Lately, they've been trading for microgreens, cucumbers, and peppers. At latest, this is when we leave the market site. Unpack the supplies into the freezer, fridge and market shelf. Organize as needed. Break down boxes. Count money in the cashbox and calculate sales and totals for all market items and bulk orders. Finish filling out the market sheet and make the weekly market deposit. Clock out. Turn off the lights, close and lock up the doors. Done for the day. Drop off my coworker and head home to eat some locally made bread, Shagbark Spelt Pasta, and produce for lunch. While this is the generalized routine on a weekly basis, Shagbark also makes appearances at local events and festivals. For instance, this weekend, we'll be at the Ohio Paw Paw Festival. 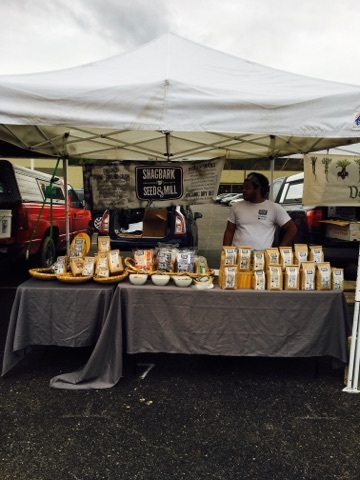 We have a big tent set up to share our products, along with free recipe cards to give inspiration on how to use items like our grits, polenta, and variety of flours. We enjoyed kicking things up yesterday evening with a sale on our chips, which are $4 all weekend at the festival. We're also doing a raffle giveaway as well. Feel free to put down a guess on how many corn kernels are in our mason jar, and you have a chance to win various themed gift baskets of our products. We even have gluten-free baskets to win. 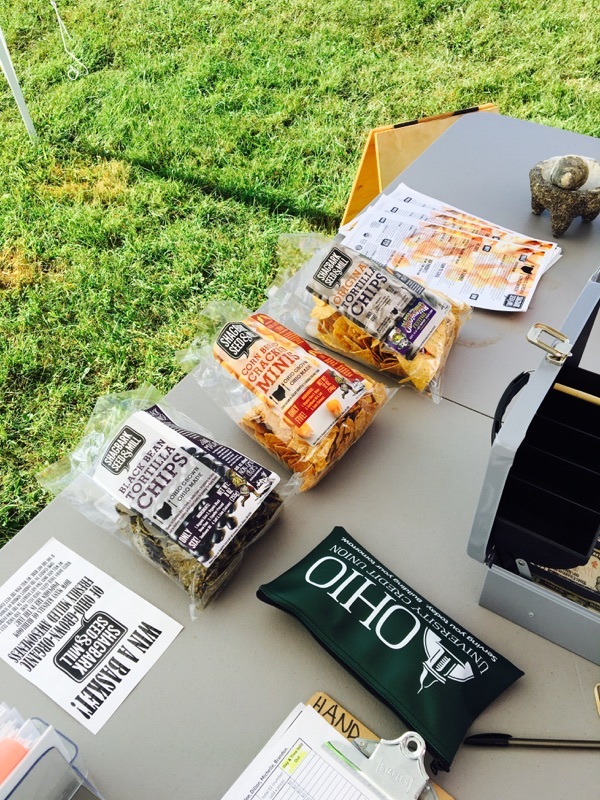 We hope to see you out this weekend on Saturday and Sunday enjoying some Ohio-grown paw paws with our Ohio-grown corn chips. They pair nicely together.